Italian local Emiko Davies is taking us on a grand tour of Italy, showing us how to make classic, fiercely regional dishes at home. 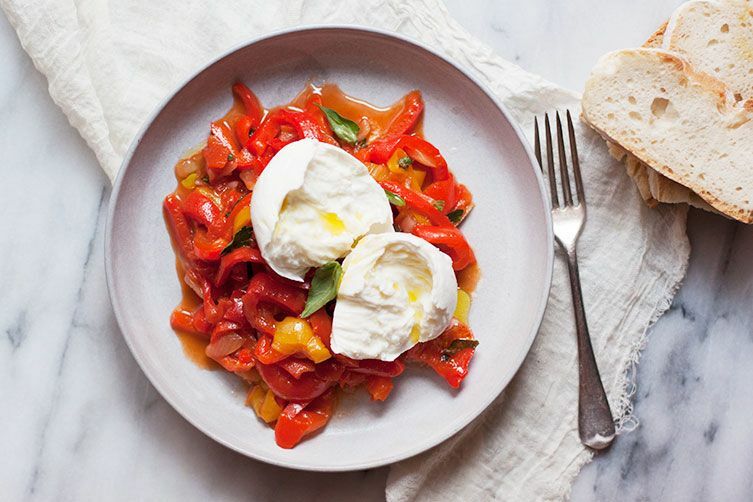 Today: A summer recipe that can be your antipasto, side, main, or pasta sauce. 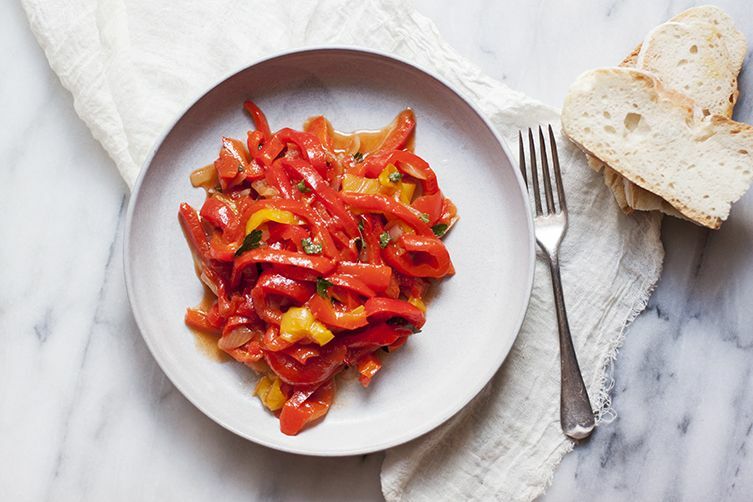 Sweet, silky, and so much more than the sum of its parts, peperonata is a southern Italian stew of slow-cooked peppers, onions, and tomatoes that is on regular rotation on my summer table. I buy what looks like way too many bright, firm peppers at the market (I go for red, usually, but there's nothing stopping you from adding some yellow ones, too. And don't be alarmed by the quantity—they melt down into a deceptively small amount), then I make a big pot of it so that there's enough for the next day or two. Because like so many great Italian stews with a tomato base, this is one of those dishes that is always better the next day. And then I'm in peperonata heaven for a few days, enjoying its versatility. I eat it on top of toasted bread as antipasto or a quick lunch; as a side with some simply grilled meat or fish; or simply as is, with lots and lots of bread to mop up juices and perhaps a big ball of buffalo mozzarella. It's even delicious as a sauce for pasta; try it with a short pasta like fusilli. 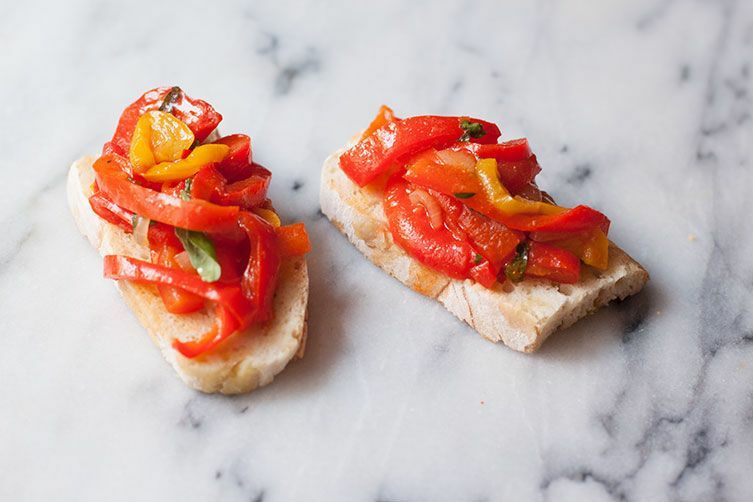 Depending on the region you visit, peperonata (which comes from the Italian word for peppers, peperoni, the protagonist of the dish) might be a quick affair. A Sicilian version may only be on the stove until the peppers are just cooked through rather than melting, and different households add their own touch with additional ingredients, like olives, potatoes, or eggplant. There, the dish is usually eaten cold or at room temperature, and a splash—or a wine glass-sized pour, depending on how you like it—of vinegar is added for a sweet and sour effect. 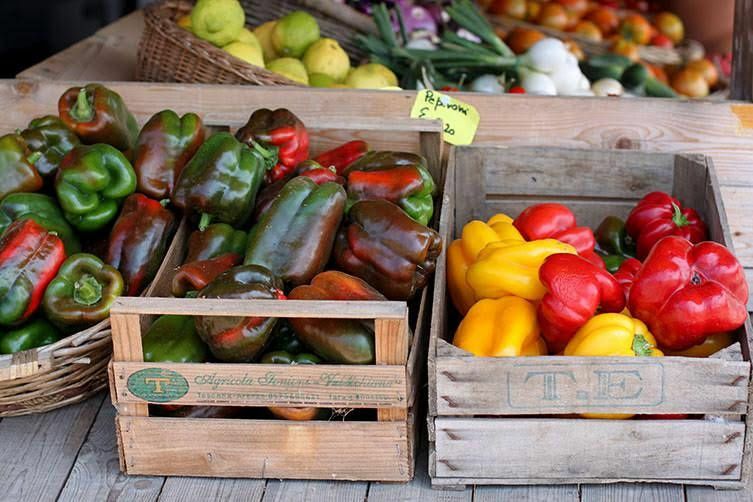 In Campania, on the other hand, the peppers are often flavored simply with garlic and bay leaf. A Tuscan version might feature potatoes and zucchini. I personally favor the version from Puglia. It's made with fresh, rather than canned, tomatoes. Basil, which perfumes the whole dish at the end, is the herb of choice. 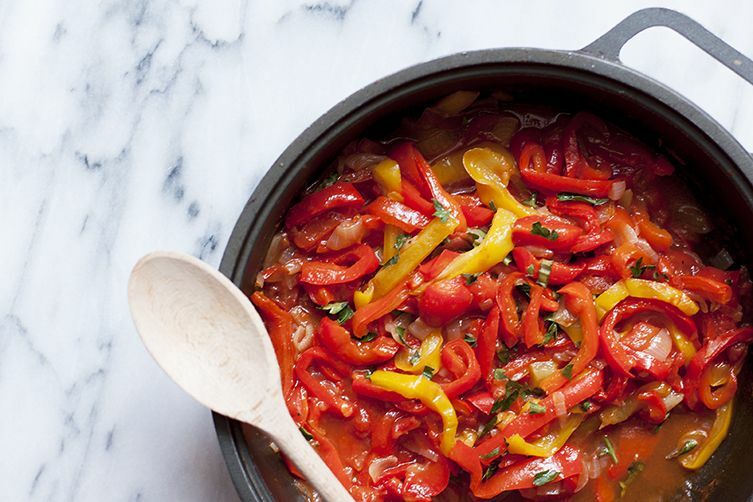 It's a version with a long cooking time, where the peppers stew slowly until they're meltingly soft. To me, it's this slow drawing out of flavor that makes this dish so extremely delicious. Even within this version of pepernata, there is great variation: Some make their peperonata by first cooking onion and tomatoes into a sauce, then adding the peppers at the end; others cook the onion and peppers first, finishing with the tomatoes. My favorite version comes from Roman writer Ada Boni, who has a recipe in her 1929 cookbook, Il Talismano della Felicità (“The Talisman of Happiness,” which was published in a very abridged version in English as The Talisman). The peppers, onions, and peeled and seeded tomatoes all go into the pot at the same time, where they're doused with some olive oil and salt. They're placed over a very low heat and covered for an hour so that the whole thing stews together very, very slowly. Right at the end, a glass of vinegar goes over the top and it's ready. I love the ease of her method for this versatile summer staple. Pop all of the ingredients in and just let them cook slowly and steadily on their own. And because I love the sweetness of peppers too much, I don't add vinegar. Feel free to adjust as you please. i want to make this so badly! Caroline just made it yesterday! She's going to try it today, so we'll let you know how it goes. v excited. will report back. update: it is so, so delicious. Makes me smile just thinking of it - I haven't made it for awhile and will do so after this weekend's trip to the farmers market. Another great addition is just a bit of anchovy. Gives some additional depth.